$1,439.99 each List: $3,146.00, You Save: $1,706.01! 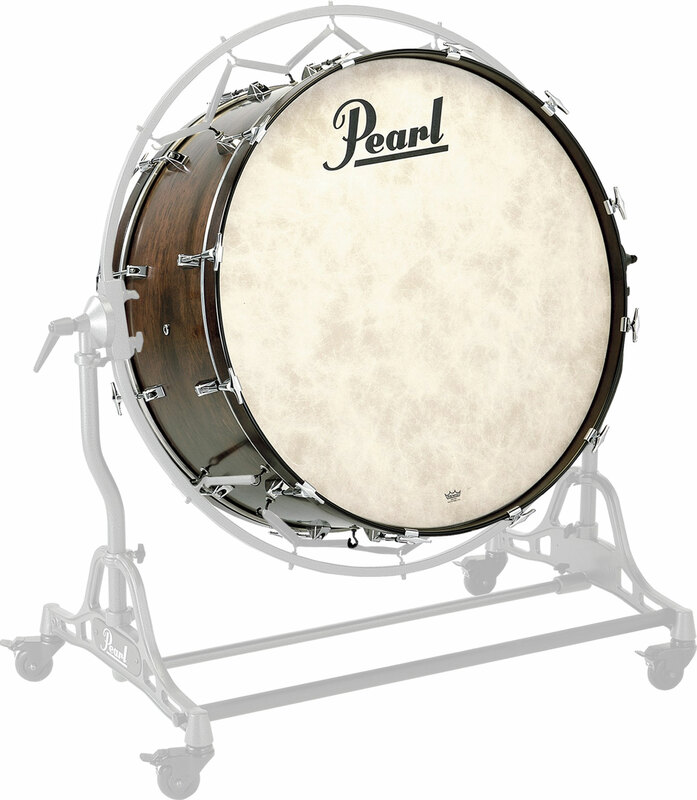 The Philharmonic Series Concert Bass Drums are created from 6 plies of exclusive African Mahogany, using Pearl's patented Heat Compression Shell Molding System. This unmatched material, prized the world over for its superb low-end presence and warm resonant tone, together with the HC/sms forming method know throughout the industry as producing the most exacting shells available, combine to produce a Bass Drum that is most simply without equal on the concert scene today. The 8mm handle bolts, wide 2" 100% Maple Hoops, and the Silent Tensioning System lugs provide perfect, accurate tuning, and Remo Fiberskyn III heads offer the ultimate canvas from which to create. Philharmonic Series Bass Drums feature a beautiful, hand stained matte Walnut finish, and are available in 28"x14", 23"x16", 36"x16" and 36"x18" sizes. African Mahogany The supreme quality African Mahogany is extremely rich in low end frequencies, with beautifully smooth mids and a slight roll-off in the higher register. Drums made from African Mahogany have a warmth and body that set them apart from all others. Ideal for applications requiring ultimate "bottom" and punch.